Construction sites can be hazardous places full of unseen dangers. These can range from materials and substances left out, to holes in the ground! Despite these risks they can still attract unwanted attention from criminals. Construction sites are often targeted after the construction crews have clocked off, for this reason alone give us a call to see how we can help protect your site 24/7, 365 days a year. There are several security companies around, however when it comes to professional service at reasonable rates, we can’t be beaten. . You’ll find that our security services can surpass that of other companies. Let Bristol Security Guards cater to your needs, we will not disappoint! 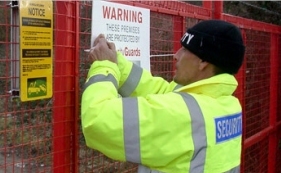 All of our security guards are SIA licensed and highly trained to protect your construction site. Whether you need services straight away or a few weeks from now, we have the capacity and are able to deliver a first class service. We believe we can outshine other security companies in the area. The above is by no means an exhaustive list, whatever your security requirements are, we can meet them. Other security companies may not! You can be rest assured that loss prevention and public safety come at the top of our list of priorities for your site. We provide security services throughout; Keynshan, Clevedon, Portbury, Portishead, Avonmouth & Weston Super Mare. Our security guards have the training necessary to know when something is suspicious, and to prevent anyone from entering the premises unless otherwise directed to. You will have complete peace of mind when you hire our guards. We offer round the clock services to accommodate your needs. 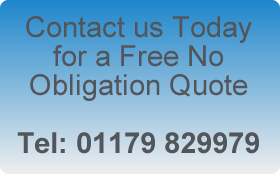 So before you try other security companies, contact Bristol Security Guards for a FREE no obligation quote.